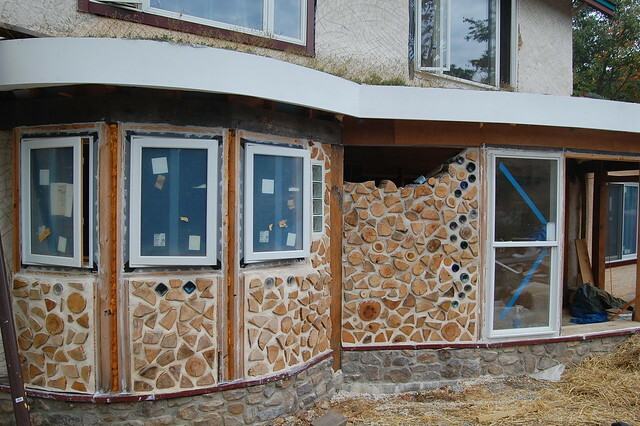 During the summer of 2010, we worked on the guest room, kitchen, entry way, and dining room cordwood. 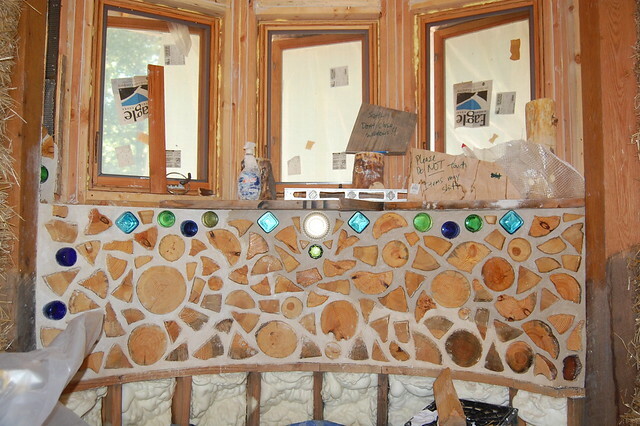 Kitchen and entry way cordwood. 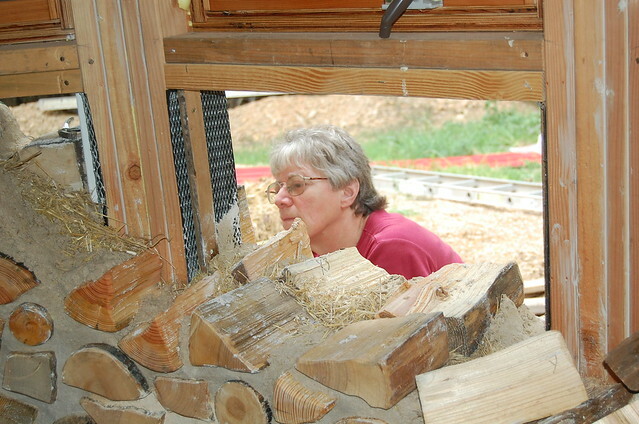 Leslie works on the entryway cordwood wall. 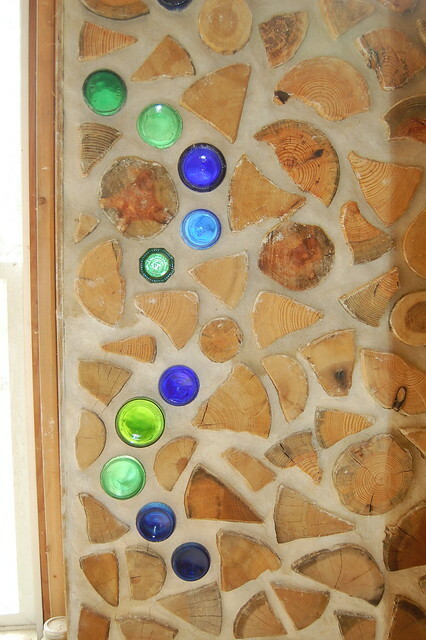 Bottles placed in the wall give wonderful color to the wall. 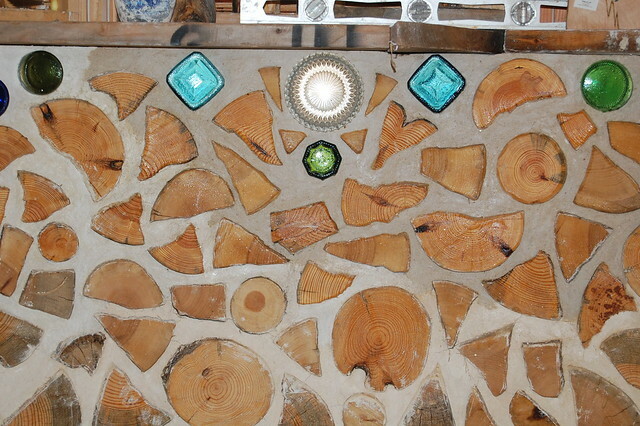 Lindsay helped start the dining room cordwood wall. 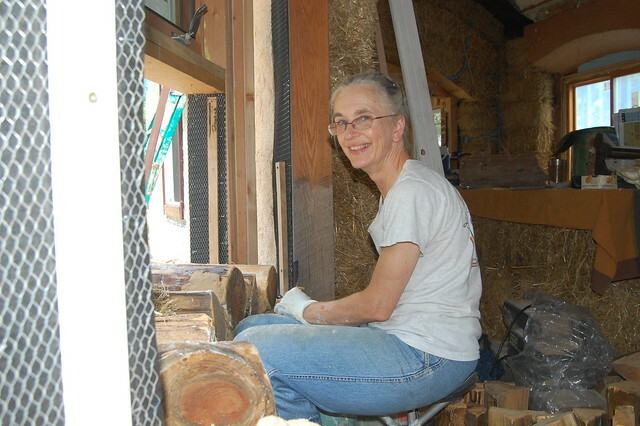 Vivian works on the outside of the dining room. 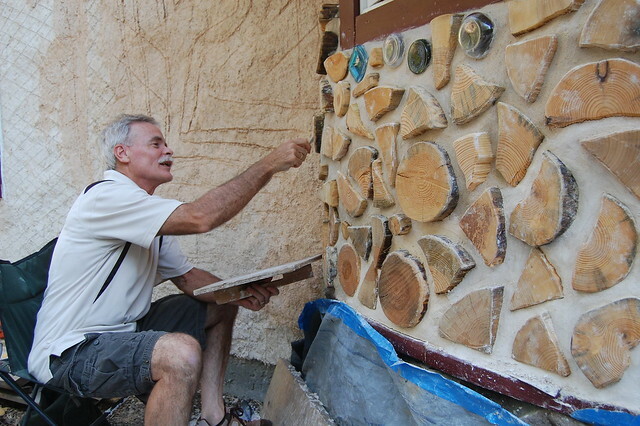 Billy put in a couple days of work on the dining room cordwood. 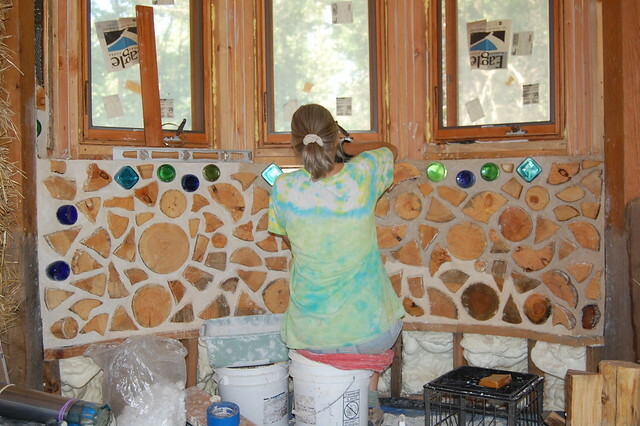 Linda putting the last bottles into the dining room wall. 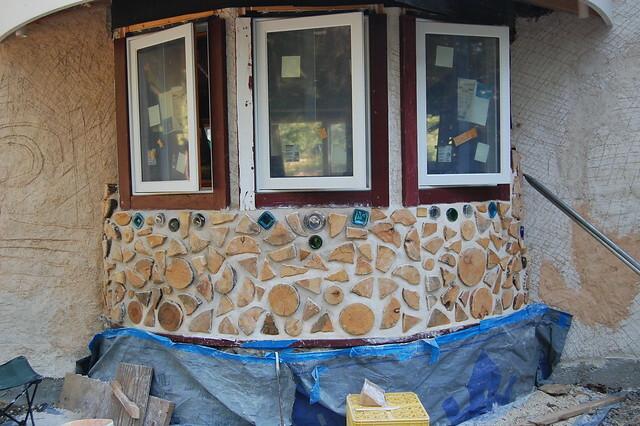 The dining room with bottles. The dining room seen from the outside. 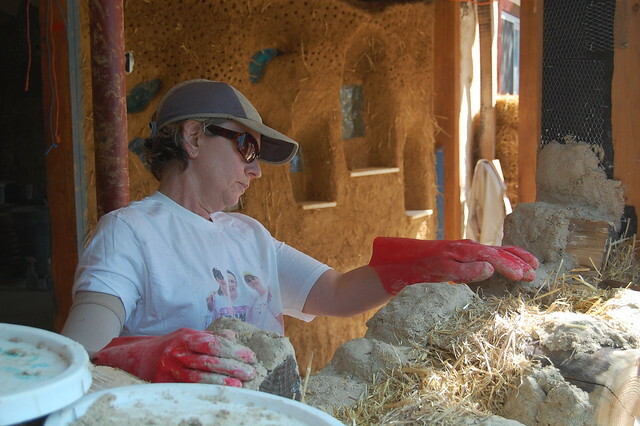 The dining room seen from the inside.